A bouquet of fresh flowers with a get well soon card bearing get well wishes can be a great way to bring a smile on the face of the ones you care. 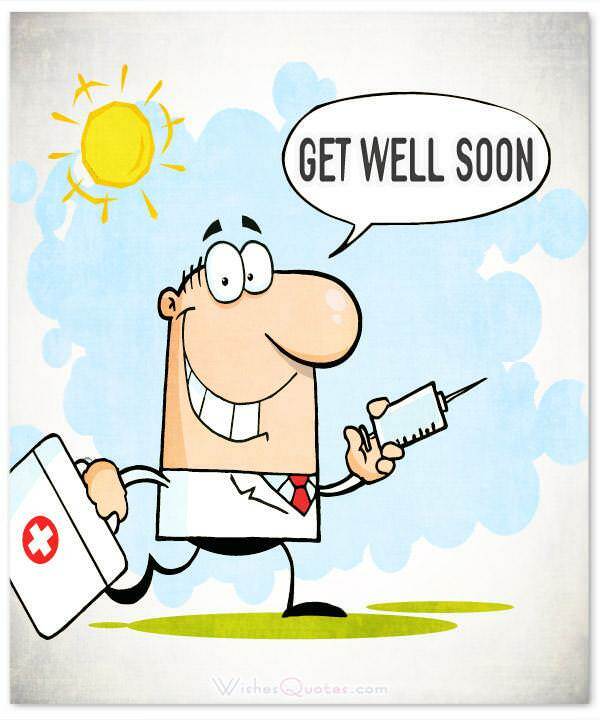 Check out these 15 get well card messages, meant just for this purpose. Nothing can be more pleasant for a person lying on bed with sickness or after an accident, than a get well soon card full of positive messages. The best wishes of family and friends act just like medicines and boost the spirit of the person suffering on bed. Whether at home or hospital, when the loved ones of an ailing person come to visit or send kind messages, they recover soon. Remember, when we keep by the side of someone when they are in distress, we earn a friend for life. A get well message is like telling someone that you are by their side at all times. A bouquet of fresh flowers with a card bearing get well wishes can be a great way to bring a smile on the face of the ones you care. It is reassuring for the sick that they mean a lot to you. An SMS, now and then, can help to reduce their pain and make them feel better, as it may not be possible to send a card all the time. Your get well wishes can be in the form of simple words or in the verse form. But, if you cannot manage words, good enough to make your loved one feel bright and positive, check out these 15 get well card messages, meant just for this purpose. Get well soon, I am waiting to see the bright, sunny smile back on your face. I want to tell your sickness to leave you now because I am in the queue, just can’t do without you. “The number of your days He will fulfill.” God has many more wonderful plans for you, so get well soon. I pray to God that he may give you the strength to overcome your sickness soon, but can you make it quick for me. I am waiting to see you well, again, every second. While you’re resting and recovering, we pray for a smooth and quick recovery. Get well and come back soon. We miss your lively presence. I was so sorry to hear about your poor health. I didn’t find out about your condition until last night. You are sorely missed here at work and we hope and pray that you will soon be feeling better, soon. Take it easy and before you know it, you will back in good form! Get well soon coz I have lots of fun things to do, but without you they cannot give me joy. The other day I saw a star in the night sky, its twinkling reminded me of your eyes. Want to see your eyes twinkle for ever. Get well soon. A request. Can you get well soon so I can enjoy my cup of coffee as before? Waiting for your reply. An illness is like an unwanted guest, we have to face it with smile and wait for it to pass, the sooner the better. So, get well soon! If get well wishes were each musical instruments, you’d be hearing an orchestra right now, serenading you back to health. Well, maybe a polka. Starve a cold, feed a fever – or is it vice versa? Anyway, do whatever it takes to get your mojo back. I miss your energy. As the Psalm says, although you may be walking through a shadowed valley, God is with you. You needn’t fear – you’ll be better soon. My world is empty without your presence. Please make it complete. Get well soon. Life has many faces, good and bad; bad ones come, and give way to good times. Get well soon. In your absence, the flowers of my garden refuse to bloom these days. So, I send them to you. Get well and come back soon. May illness leave your company instantly and good health be at your side forever. Waiting eagerly for your fast recovery. Get well soon and fill the world with you glory. May you get well soon and be back to you best health. Welcome your good health with a sweet smile.